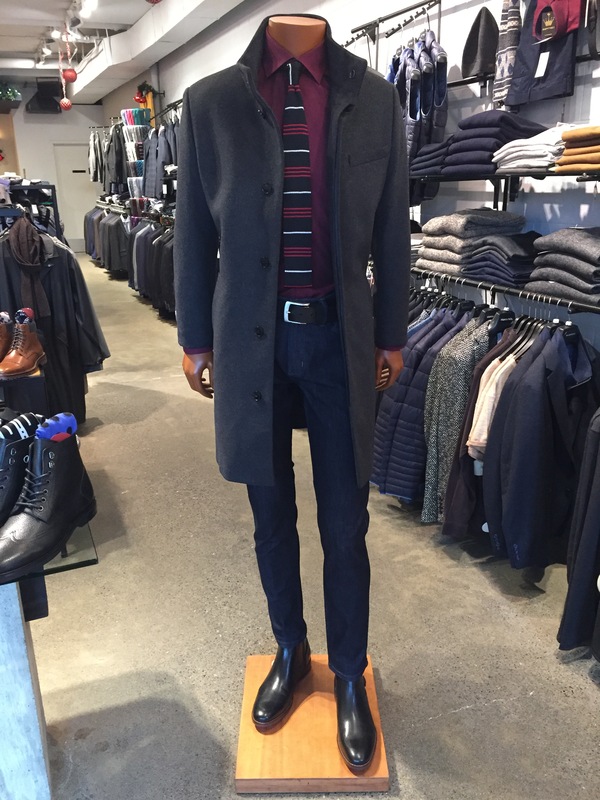 Stay warm this winter with the “Egal” stand-up collar overcoat from Tiger of Sweden. 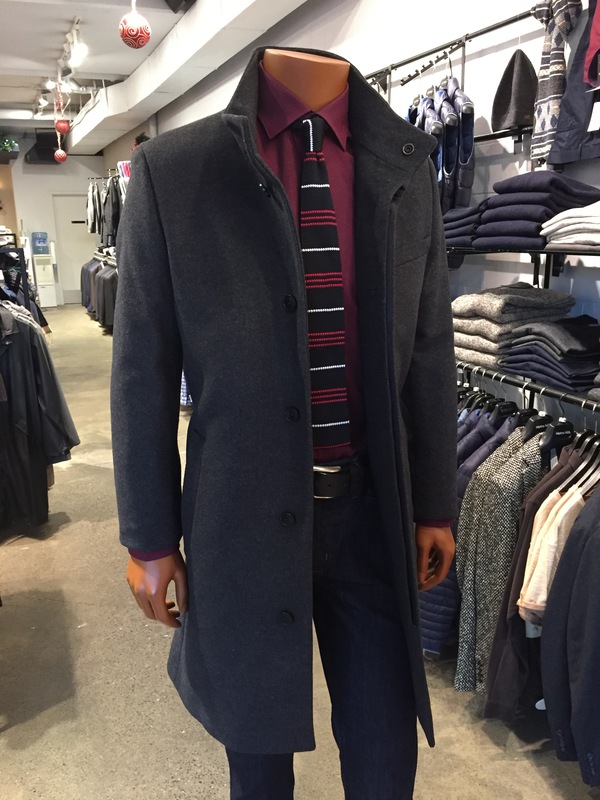 Du/Er’s “Strummer” stretch denim keeps it casual, but a knit tie lets people know you mean business. 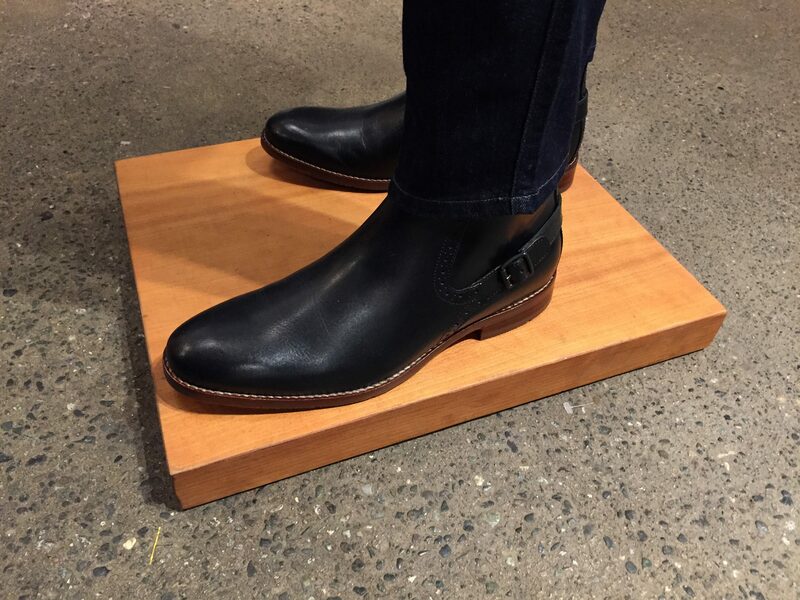 Finish the look with a “Garner” buckled Chelsea boot from Johnston & Murphy.